As a gate and fence accident attorney in Los Angeles, I have seen many unfortunate cases of bodily injury and even death caused by defective or damaged barricade entryways. This is problem that is especially acute in urban areas where there are a lot of residential and commercial properties surrounded by fencing and with gates that are intended to open and shut automatically or even damaged fences that a prone to fall. Each year, people are seriously injured or killed when they are pinned or crushed by automatic, mechanical or swing gates and fences. Despite the existence of the problem, little research has been conducted into its prevalence in the last 15 years. A study by the United States Consumer Product Safety Commission, or CPSC, was conducted in 2001. According to the agency, 32 fatalities involving automatic gates occurred between 1985 and 2001. Of those people who were killed, 20 were children. The agency also estimated that more than 25,000 people were seriously injured by automatic gates between 1990 and 2000. Gate injuries happen in a number of different situations. In one incident in Florida in 2013, a 12-year-old girl suffered from permanent brain injuries when she was pulled underneath an automatic gate that had a faulty reverse mechanism. In another case in July 2015, a 63-year-old woman was pinned by a gate in Oakland, California, after the gate closed on her while she was attempting to use her key to unlock it. Some pedestrians are seriously injured when they attempt to cross through automatic gates that are designed for vehicle use only. Some injuries happen when a gate is not properly maintained, causing issues because of worn parts. Others happen because of extrinsic factors, such as a truck colliding with the gate or a vehicle trying to exit behind another vehicle, causing the gate to damage both the vehicle and the gate’s mechanism. 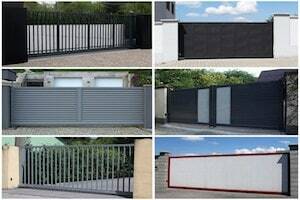 Automatic gate and fence injuries are a serious issue in urban areas such as Los Angeles. Many multi-unit residential apartment complexes, office buildings and other businesses have automatic gates and iron fences. When they are not properly maintained or have defective components, serious injuries or fatalities can result. The particular legal claims upon which a gate-injury case might rest will depend on the reason for the accident and the injury. If a component part is defective, such as the defective reverse mechanism in the case cited above, a products liability claim against the part’s designer, the gate’s manufacturer and all of those who were involved in placing the gate into the stream of commerce may hold liability. If the gate’s failure was caused by improper installation, the company responsible for installing it may be liable. When a gate has not been properly maintained or it has been struck and it wasn’t repaired by the property owner, lessor or business responsible for it, those parties might be liable to pay damages for the suffered injuries. In California, a property owner, lessor or business has a duty of care to correct and warn people of the existence of known hazardous conditions or conditions that they should have reasonably known about. In a gate- or fence-injury case, a personal injury attorney will analyze the facts of what happened in order to determine all of the potential defendants that should be named in a resulting personal injury or wrongful death civil lawsuit. This can help to ensure that the plaintiff might be able to collect damages in amounts that are sufficient to fairly compensate them for their losses. If you have suffered a serious injury or your loved one was either injured or killed by an automatic gate in Los Angeles, you might want to meet with a gate and fence accident attorney. An attorney might analyze what happened in your case or that of your loved one and then provide you with an honest assessment of the win-ability of your case. He or she may then litigate to seek the maximum amount possible through a settlement or verdict.